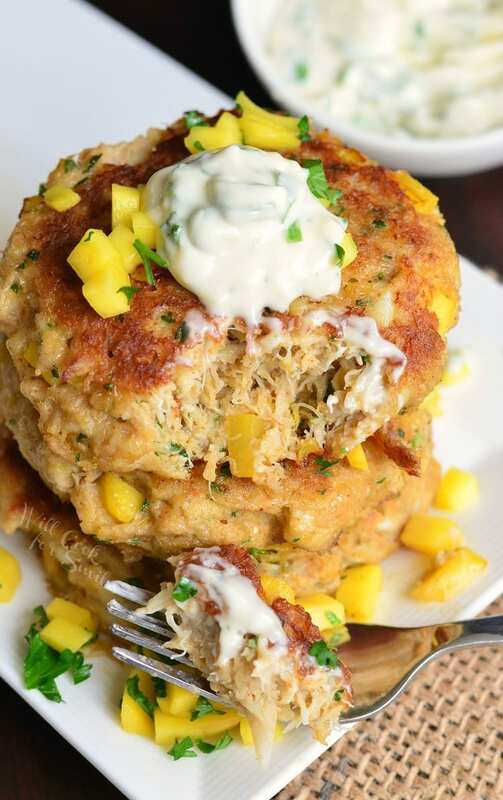 Bright and sunny crab cakes with a little kick. 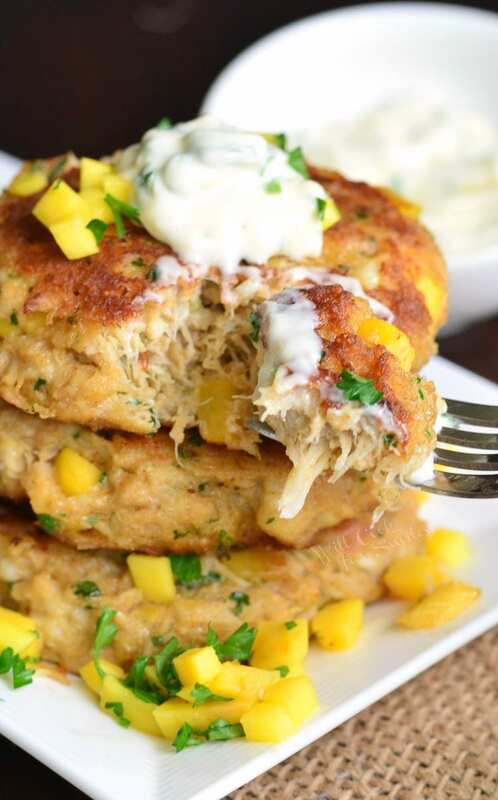 These delicious crab cakes are made with fresh crab, sweetened with fresh mango, and served with sweet and spicy creamy sauce. 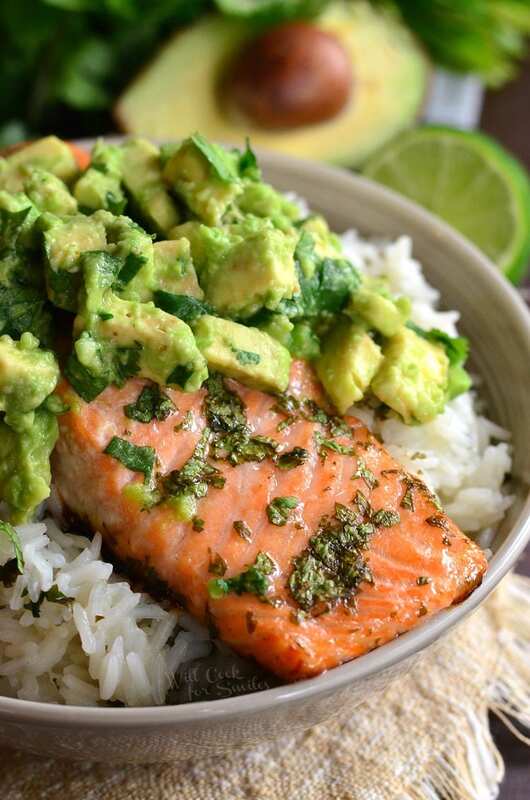 A perfect treat for spring dinners. I hope everyone is enjoying this spring time and having a wonderful weather. I’ve been in a great mood because of this beautiful spring we’re having. That’s what the weather does to you, it can make or break your mood and it can inspire some delicious dinner ideas. Every season inspires baking and cooking recipes and spring inspired the prettiest dishes. 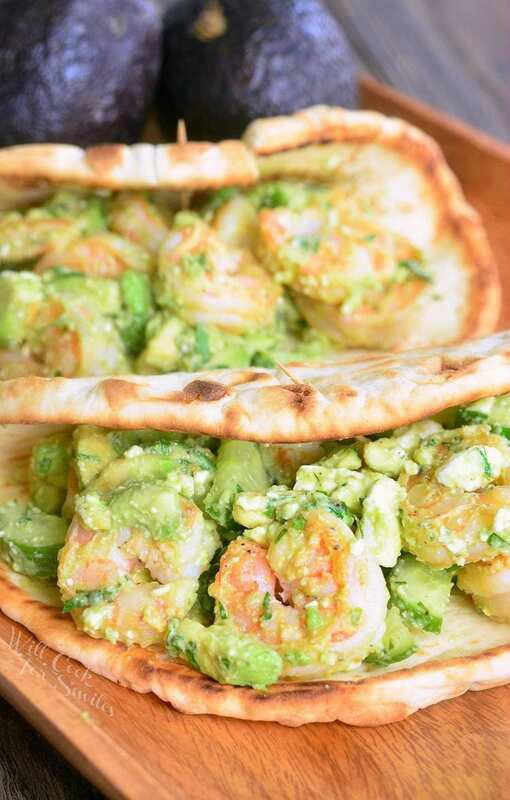 It’s always bright, sunny, fresh, and flavorful. On a beautiful Wednesday morning last week, I decided to run over to the farmer’s market. Farmer’s markets are like a nice stroll in a park for me, except you end up leaving with a bunch of delicious goodies. During my visit to the market, I scored some wonderful fresh seafood and some gorgeous fruit. I got myself some crab meat and scallops that were literally right off the boat. That’s the nice thing about living close to the coast, lot’s of fresh seafood. The second I got home with my bounty, crab cakes were on the menu for lunch. I wanted to brighten them with sweet mango and of course, if you’ve got sweet, there needs to be a kick of spicy! Combine all the ingredients for crab cakes in a mixing bowl. Using a spatula, fold all ingredients together until completely incorporated. 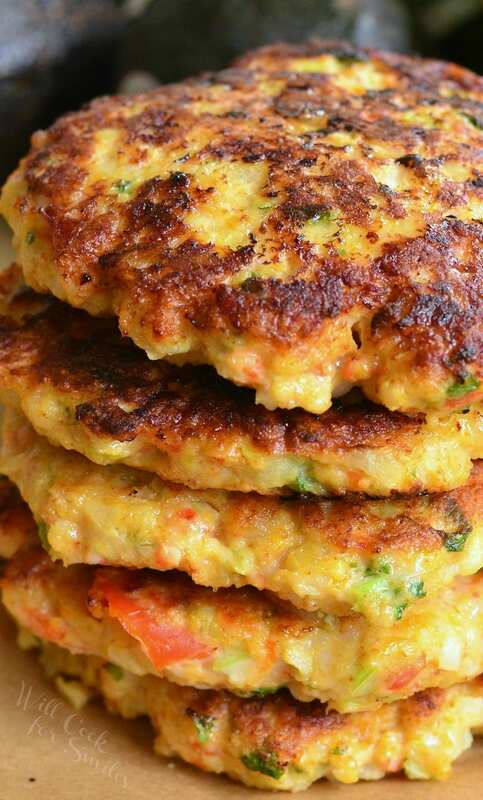 Cook crab cake patties until golden brown on each side. 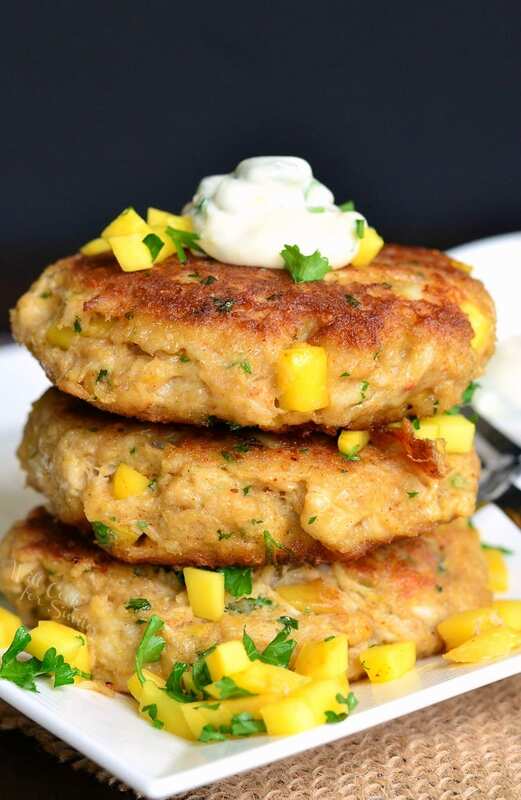 (5-7 minutes on each side or a couple of minutes less for smaller crab cakes.) Take off heat. Sauce: Mix all the ingredients for the sauce in a small bowl until smooth and completely incorporated. 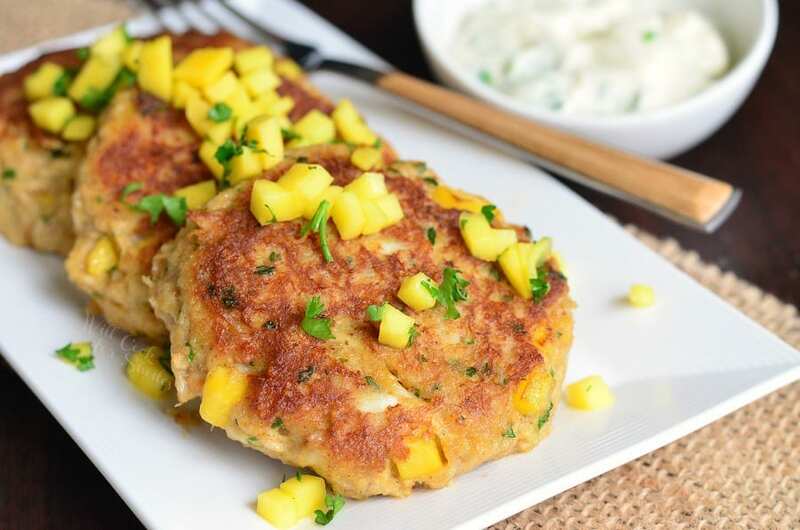 You can top off the crab cakes with leftover mango if you had any left. These look great! My husband loves crab cakes. Did you use canned crab meat or do you have access to fresh?